On last night's show, I shared my 10-point report card on Trump's first six months as President. Trump's greatest accomplishment thus far has been the appointment of Neil Gorsuch to the Supreme Court. Because the Supreme Court writes more of America's laws than ever, it's vital to have conservative voices who will defend the Constitution from far-left justices like Sonia Sotomayor and Ruth Bader Ginsburg. 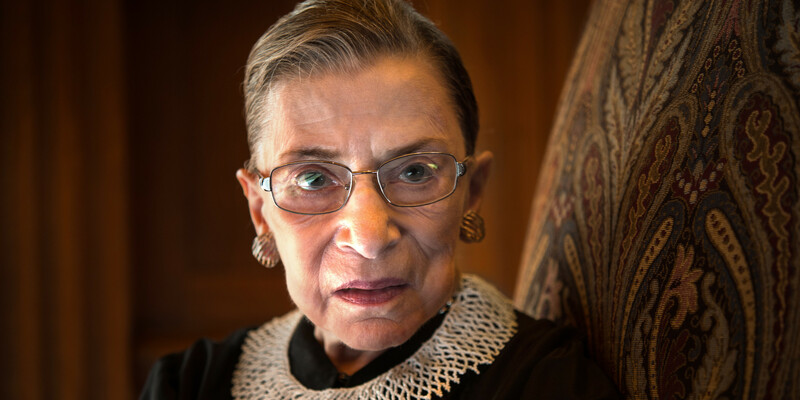 But Ginsburg is 84, so there will likely be another vacancy in Trump's first term! WATCH my video to see why I believe Trump's second Supreme Court appointment will be the single most important thing he will achieve as President. Geez GLEN….I was just about to have supper. Somebody please give this gobblin her dead sister’s ruby slippers and send her on her way back to Lower West Oz…or throw a bucket of water on her. IN fact of the special elections held so far, the dems have lost them all. I guess in Andrew’s case, everyone gets a participation medal, I guess winning by 5% instead of 10% is not a win. Andrew….Dems spent $30 million in Georgia and still lost. One of your Hollywood starlets went bankrupt funding that lost cause. Dec. 1st, 2020, jot it down. well beyond the age of traditional retirement. I suppose if her mind starts noticeably slipping, there is a procedure in place to nudge her into retirement!? Oh, I’m not trying to “fool” anyone. Trump lost the popular vote in the election, and even when you account the electoral college, he won the cutoff states by less than half a percent. Troubling when his popularity’s 10+% lower than inauguration, even according to Trump-friendly pollsters. This is backed up by the special elections, in which the GOP lead dropped by double digits in every single case. They barely held onto very safe GOP districts such as the one in Georgia, which haven’t elected a Dem in almost 40 years … came within a hair of doing so. The weaker GOP districts … don’t have that padding. ANDREW….lets jot Dec 1st, 2020 on our calendars. All of your ilk promised a Hillary win this time. What happened? Get back to me then and we can compare notes. In the mean time stick to praising Schumer and Pelosi. Now that is a pair of winners. Andrew, you are certainly welcome to post your pretzel twisted version of reality, but keep in mind that you are only fooling yourself. Everyone here sees through your … well, let’s just call it … “demented” views. Ginsburg had commented in the past that she would not retire unless the circumstances of a like minded successor being appointed were good. That’s actually why she didn’t go while Obama was still president. So … her retirement is not imminent, and it’s very likely she’ll be able to continue for a few more years. Past midterms it’s going to be a lot more difficult for Trump to confirm a successor, so it’ll be blocked much as Scalia’s replacement was. They barely got Gorsuch confirmed and their poltiical capital is only declining. When the Dems retake the White House in 2020, they will appoint a proper replacement, and by then Kennedy will be up for replacement as well. Ironically, electing Trump may well have done exactly the opposite of what you wanted. Much like healthcare, he’s already become a lame duck. The GOP would have done better to nominate someone competent if getting their agenda in place was their goal. With Ginsberg a few years shy of 90, and John McCain pulling a “Weekend at Bernies” in order to vote today, some of the old guard will soon be gone. Hopefully Trump can stack the living sh*t out of the Supreme Court. It would be the one thing that would ensure the survival of the USA as we know it. Indirectly this would be great for Canada as well, just don’t tell Jimmy Reese and the rest.